Cats play a special role in their owner’s lives and the bonds formed between cats and their owners go very deep. Once revered as sacred by the Ancient Egyptians, cats are loving, loyal and affectionate companions. From making us laugh to being the perfect snuggle buddy on a rainy day, we understand that your cat is an important part of your family who never fails to make you smile. 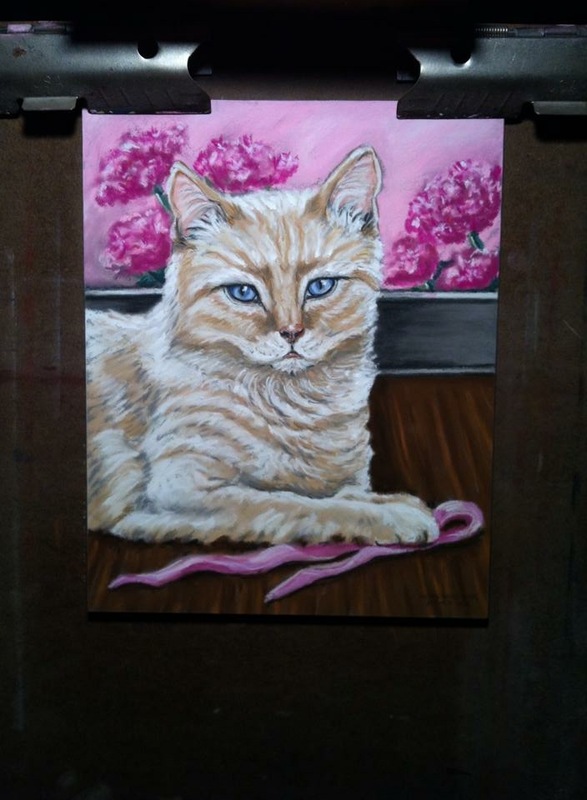 Whether you are looking to memorialize your cat in a piece of artwork or are searching for a one-of-a-kind gift for a loved one, Loved Dogs Art has got you covered! Artist Mechelle Roskiewicz lovingly creates hand painted cat portraits from photos of your cat to help you immortalize them forever. 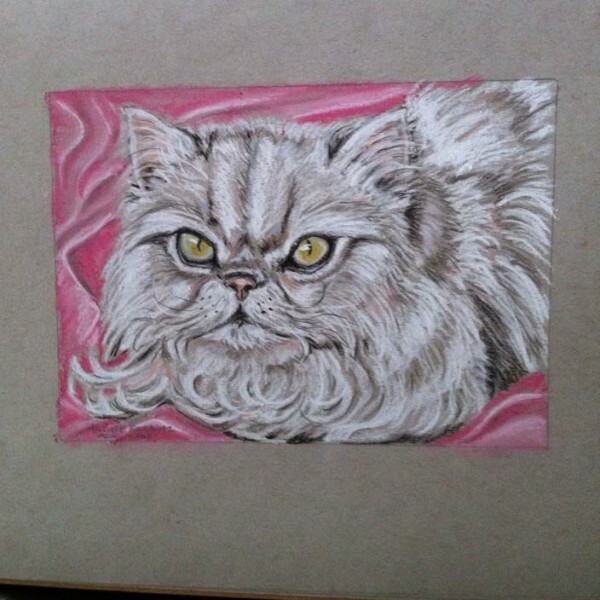 Mechelle is a skilled cat portrait artist with many years of experience and her portraits are sure to capture the spirit of your cat’s unique personality. 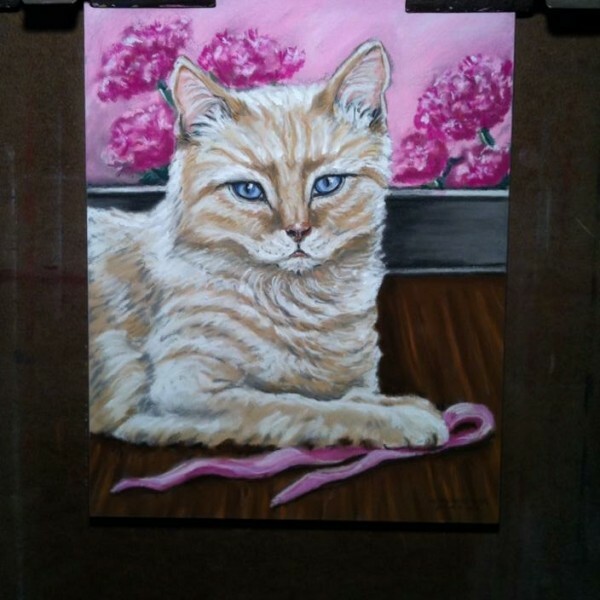 Place your order today and let Loved Dogs Art help you pay homage to your cat with a custom cat portrait that you will cherish forever. 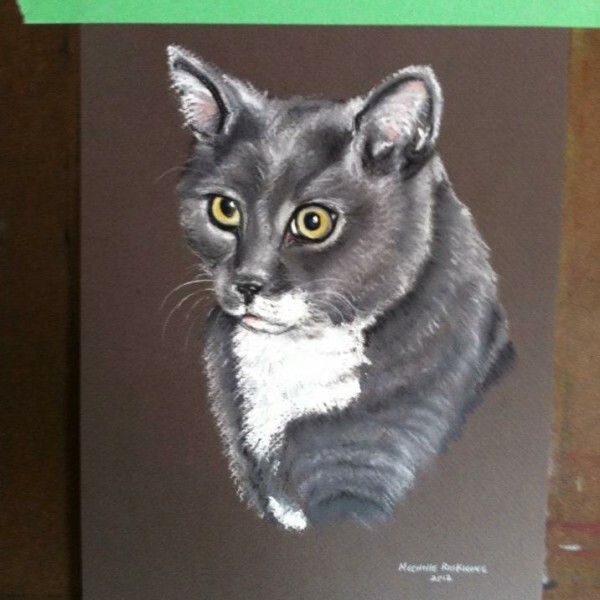 We have a few ways you can order a beautiful pastel painting of yours, or a loved one’s cat. To place an order, select one of the sizes below. Click on our CONTACT PAGE, and you can fill out all of the details about your project including size, shipping info, and more. Here, you can upload your photograph, and you will receive a call from someone in our office to discuss your painting. We accept cash, check, or credit card. All projects require a 50% deposit. Most projects take 1-2 Weeks depending on workload. Satisfaction Guaranteed! Please send or email several clear photos of your pet which best represents your cat’s personality and features. 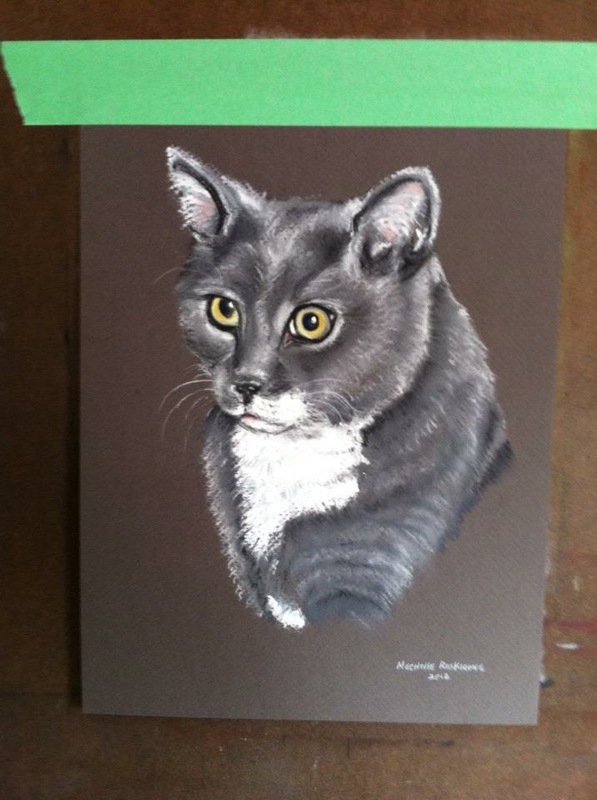 Good photos are very important for creating detailed custom cat portraits. When sending or taking a photo, try to use a clear typical pose. Have proper lighting. Send several close up photos of the eyes, and do the best to eliminate background objects. We will make every reasonable effort to provide our customers with Special Size Requests. Please call or email us so that we may consult with you and provide the best possible solution. 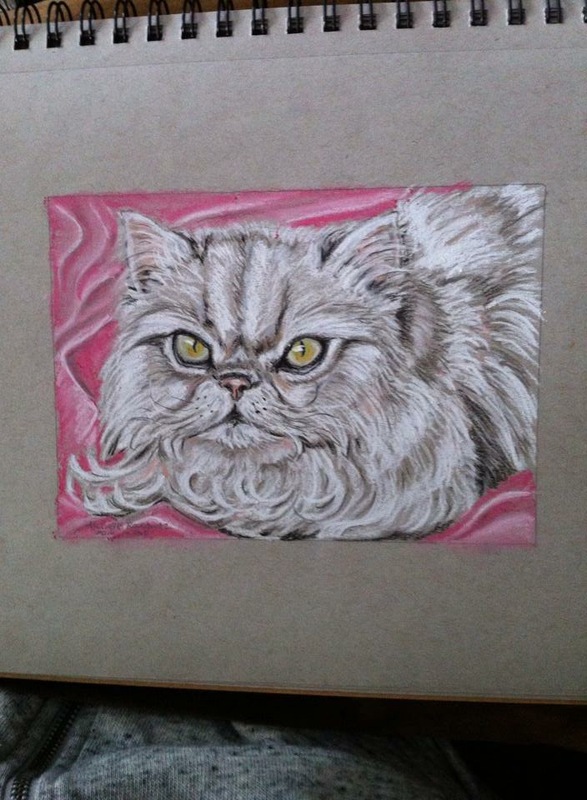 Unframed Pastel Paintings Will be shipped via USPS Insured Priority Mail. Please add $20-$25 for shipping and delivery.